With Readly you can read All About History - Story of the First World War and thousands of other magazines on your tablet and smartphone. Get access to all with just one subscription. New releases and back issues – all included. The First World War, also known as the Great War, was a conflict that spread around the world, with over 30 nations declaring war in its four year duration. It was a war of and against people, with men volunteering and being conscripted all over the world and civilians at home contributing to industry and agriculture to fill their voids. Despite the countless deaths in the trenches, at sea and in the air, it was a war of innovation. Military strategies, transport, and weaponry all developed and progressed as a result. 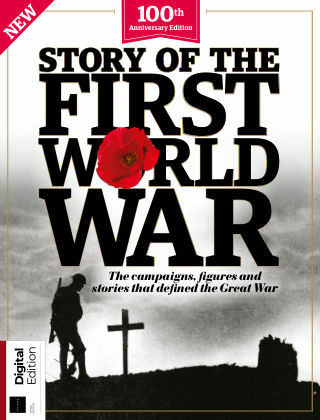 In the All About History Story of the First World War, you will explore the significant battles, poignant events and influential figures that contributed to World War I. Take a look inside to discover why and how it began, the destruction that it caused to both land and life, and the legacy that it left after those last shots has been fired.